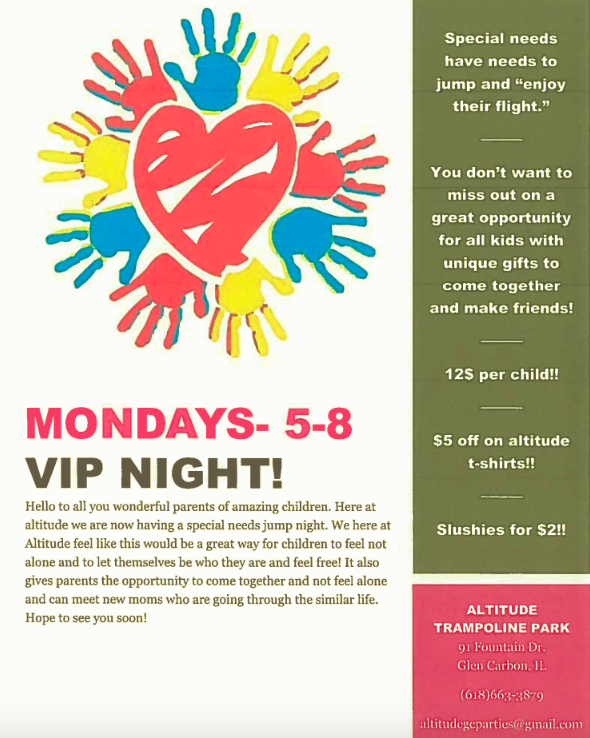 ​Altitude Trampoline Park in Glen Carbon has created a VIP Night for students with special needs. Please click on the picture to the right for more information on this great program. PLEASE SEE THE DIRECTIONS FOR SETTING UP A POWERSCHOOL MOBILE ACCOUNT. OUR DISTRICT CODE IS SPHX. CLICK HERE FOR THE FLYER WITH DIRECTIONS. Please check grades three times per week through PowerSchool. The Trimpe Student Handbook is on the Trimpe website at Bethalto.org, select Schools, Trimpe Middle School, Parents and Students, Student Handbook. Dress Policy: Please review the TMS dress policy to ensure that all Royals are following Royal Appearance standards.